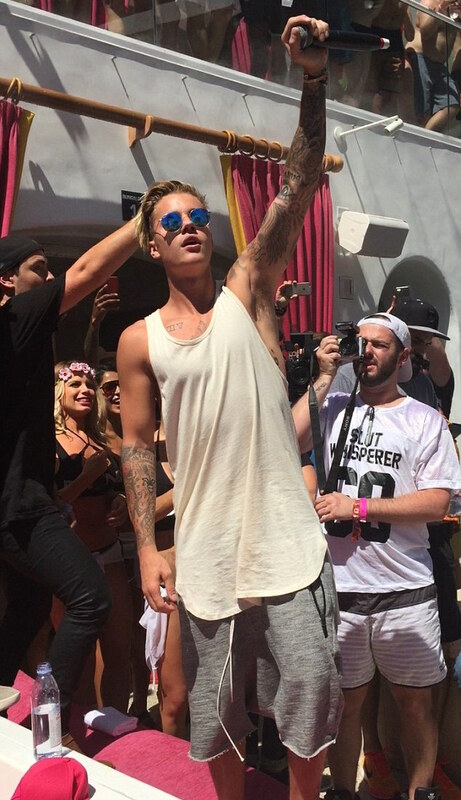 Justin Bieber’s collaboration with DJs Skrillex and Diplo is his clubbiest offering yet. 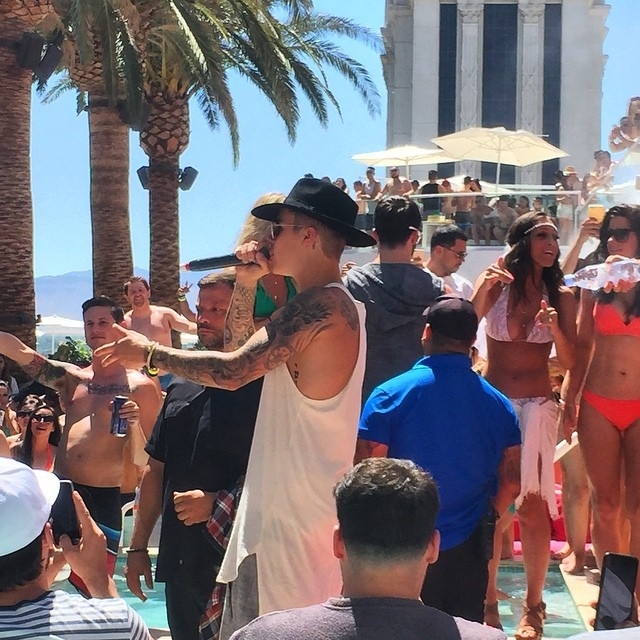 Justin reportedly downed a couple of shots of Jack Daniels and sang a two songs for the very happy crowd of 3,000 EDM fans at the venue. He’s is seen displaying his tattoos in a cream loose-fitting tank top and grey drop-crotch shorts. He arrived in a wide-rimmed black hat but tossed it to the side after he took the mic and shaded his eyes from the desert sun with blue mirrored sunglasses. I’m proud of Justin that the crowd which was 21+ ages gave him such a great reception and considering that this event was a EDM concert this also proves Justin is getting more recognition and approval from EDM fans! Great job Justin!! Very good show ! In Poland rains!